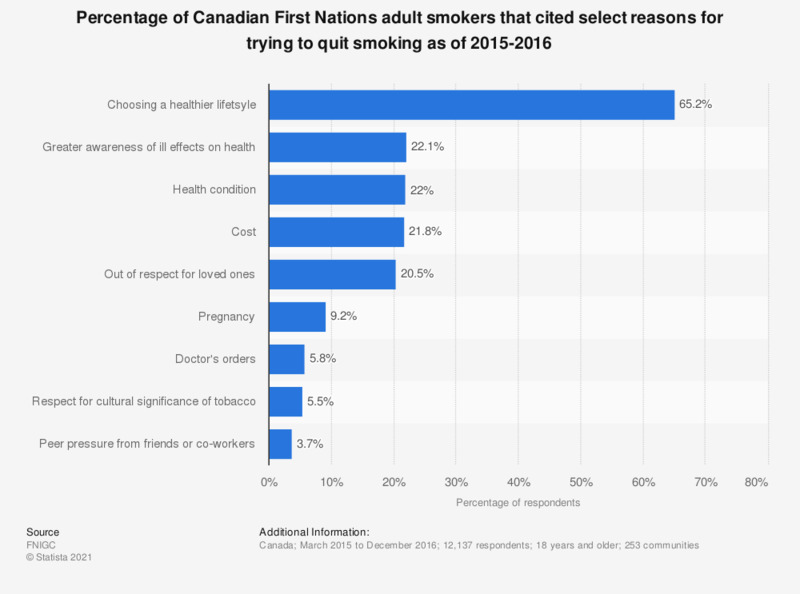 This statistic shows the percentage of Canadian First Nations adults that identified as current and ex-smokers that cited select reasons for attempting to quit smoking as of 2015-2016. According to the survey, 65.2 percent of respondents indicated that they wanted to quit after choosing a healthier lifestyle. Respondents instructed to "mark all that apply".